Uncategorized / The Chamber Brunch is just around the corner! The Chamber Brunch is just around the corner! I am really excited that we decided to try a Brunch setting this year for the Chamber Annual Meeting! 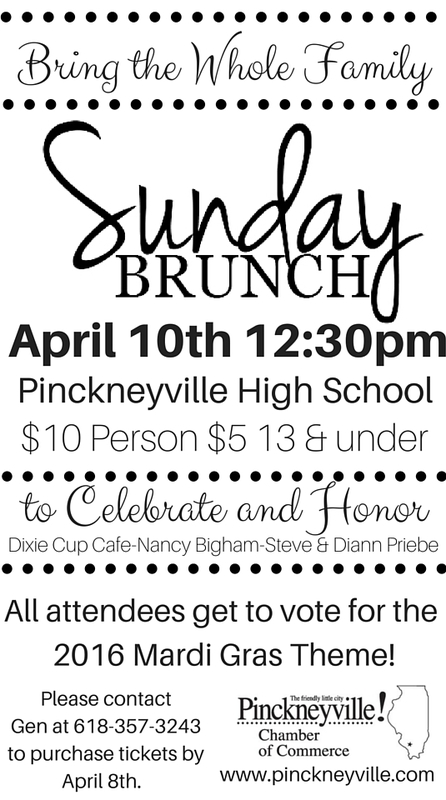 Not only do we get to honor Dixie Cup, Nancy Bigham, and Steve & Diann Priebe…we also get to vote on the Mardi Gras theme! !